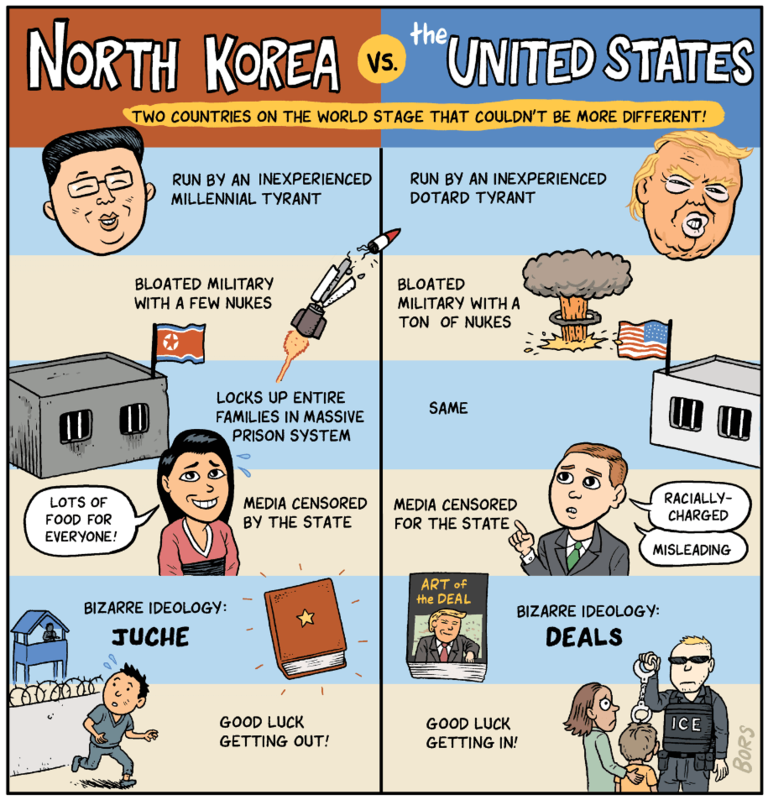 North Korea and the U.S.: Notice any differences? But watch out for those Canadians. 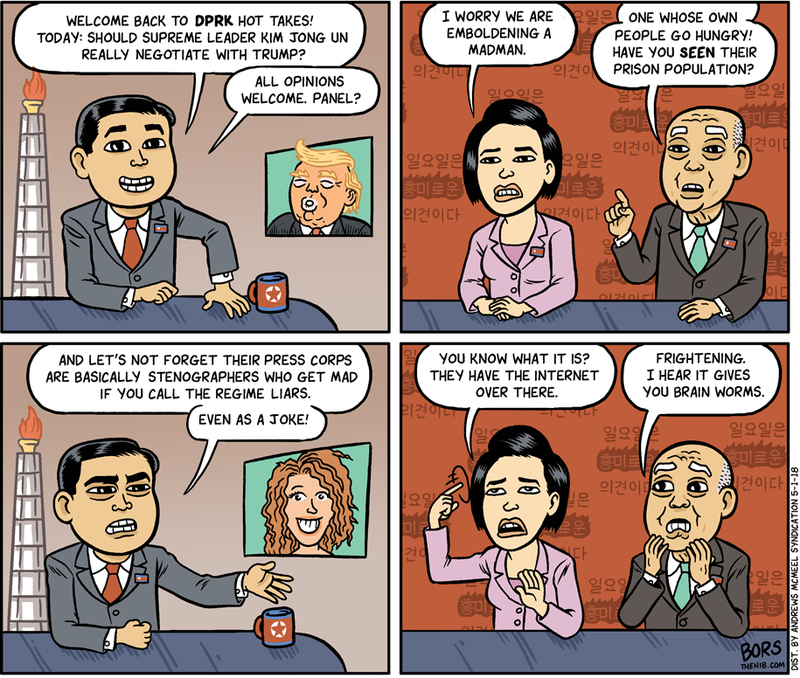 North Korea wants to kill us all and our president is just making it worse! Why are you all just sitting there?!! !